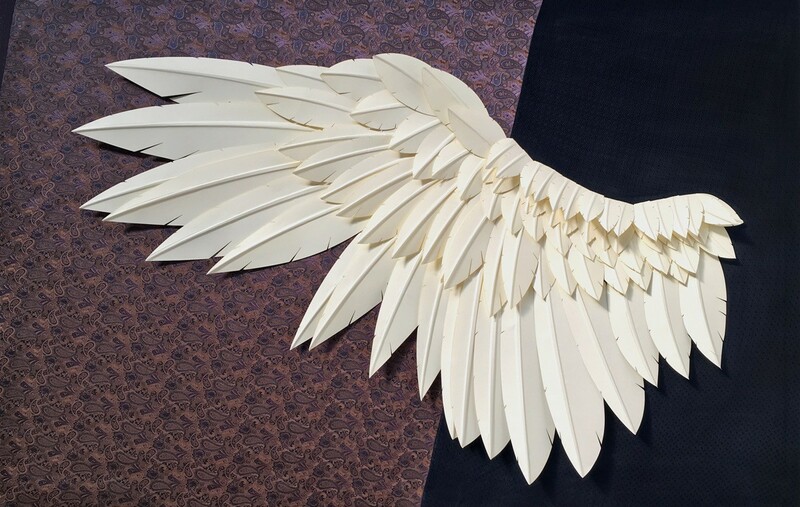 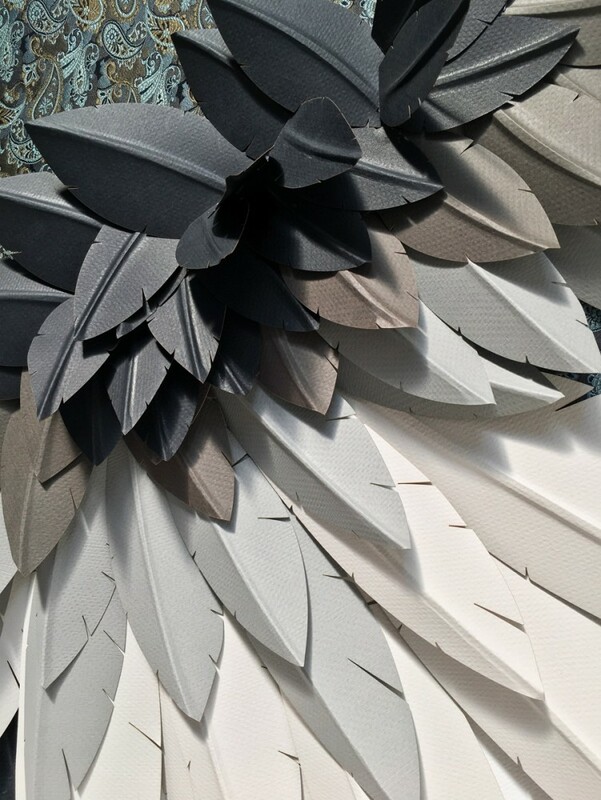 The paper wings series arose from anatomical studies of bird wings. 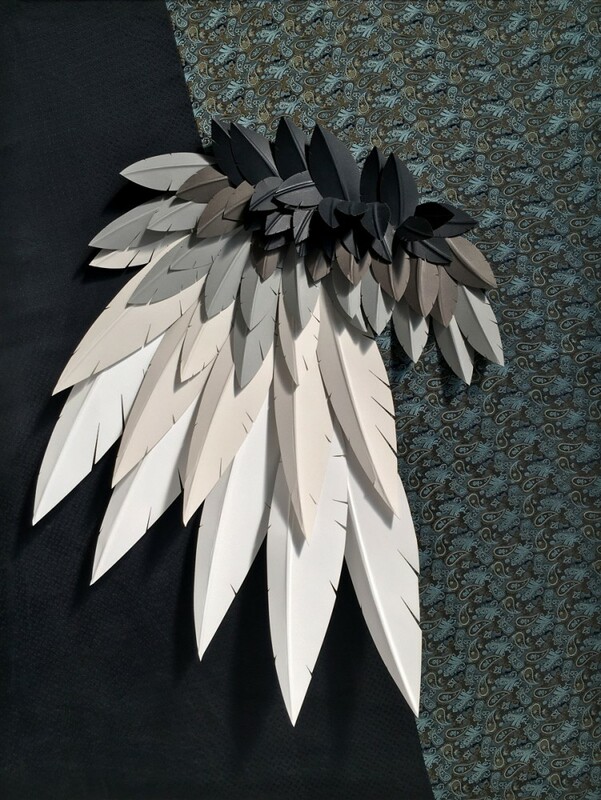 The overall shape of the feathers emphasizes the primary feathers which are most easily recognized in soaring birds or birds of prey. 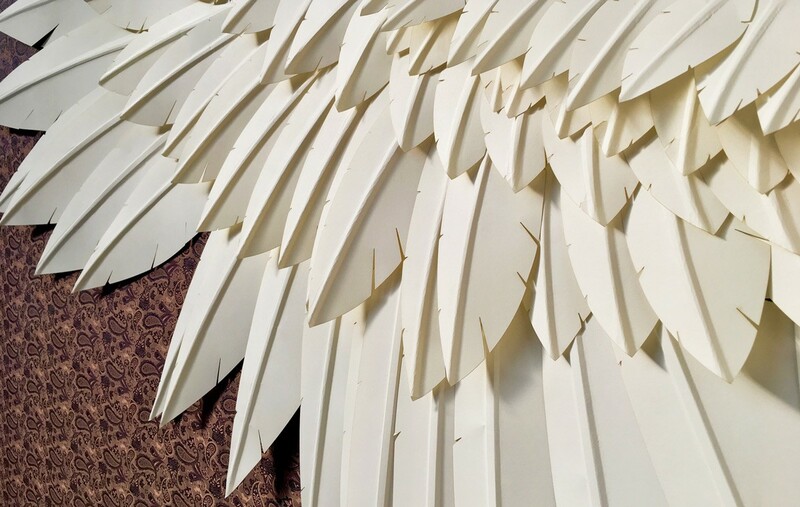 These elongated finger like tip feathers power birds in flight and are actually attached to the bones by long quills. 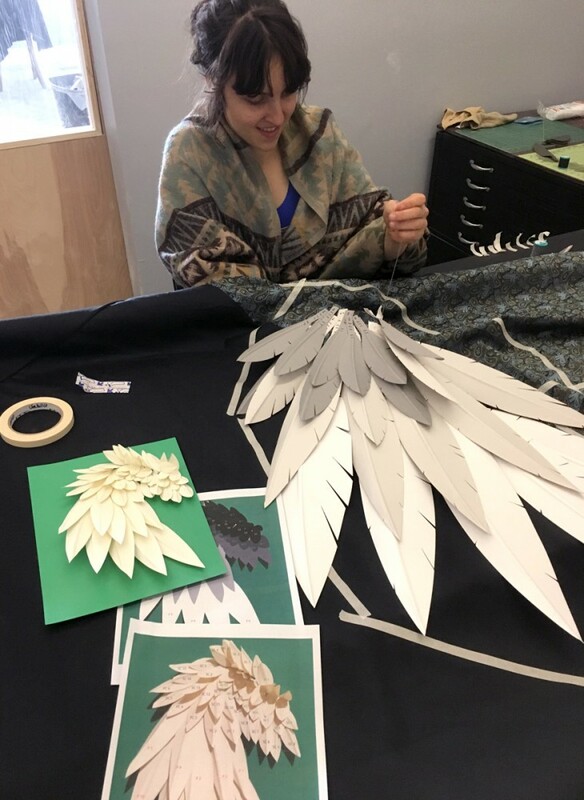 The multi media approach of these wings is created from laser cut feathers that are hand scored and sewn onto stretched silk.